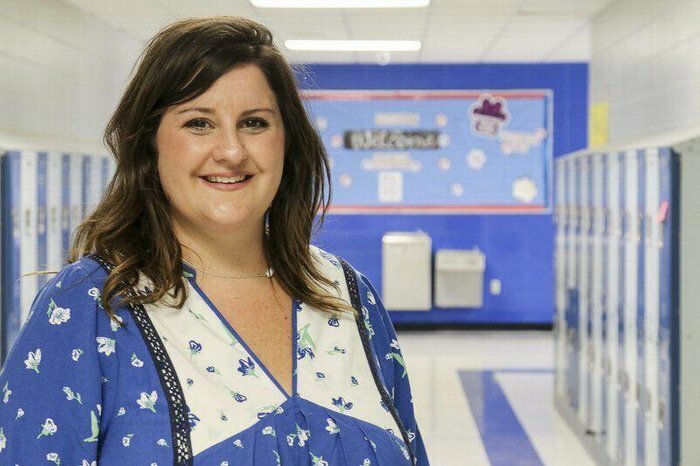 For Brittney Chaney, serving as the new principal at Southeast Lauderdale Middle School is like coming home. Chaney, who has been an educator for a decade, attended all three Southeast schools and taught at Southeast Middle. She began her career in Louisville teaching elementary school while her husband was finishing his degree at Mississippi State University. Once her husband was done, they moved back to Meridian where she got a job teaching fifth grade language arts. Growing up, Chaney had several mentors who sparked her interest in becoming an educator. Two of her uncles served as principals at Southeast Middle, and former principal Marcus Irby also helped her along the way. In the early part of her career, Chaney thought she was going to teach elementary school. But once she got the chance to teach middle school, she said she began to love that age group, because she could make more of a difference at that level. “I like to show them that adults really care about them,” Chaney said. Chaney, 31, said she had a goal to become an administrator, but didn't think the opportunity would come this soon. “I have always been goal driven,” Chaney said. Chaney has received a lot of support from the Southeast school community, with many teachers getting on board with the changes she has made. “I feel completely supported and excited,” Chaney said. One of her supporters is Judy Pearson, who was Chaney's science teacher and cheer coach when Chaney was a student at the school. Pearson described her as determined. “She was always eager to do the right thing, always eager to help," Pearson said. Chaney said her greatest strength is her ability to connect with her students. She prides herself in learning all of their names. Chaney has many goals for the year. She plans to be proactive, keep the kids safe and create a caring environment. One of her biggest goals is to make Southeast Middle an A school. And while she has a long school year ahead of her, Chaney is optimistic for what the future holds.